I have come to realize in my practice that an interim engagement follows a predictable pattern. I have seen this happen time and again. I understand the process that a decision maker goes through during the course of an interim engagement. A majority of decision makers dealing with transitional situations have little or no experience with interim executives. I asked about this as a part of my dissertation research. A small proportion of my respondents (35.7%) reported having experience engaging and managing interim executives. Another 33.6% of my respondents said they were knowledgeable about interim executive services but had not engaged an interim executive. Similar to Elisabeth Kübler-Ross‘ five stages of grief, I have observed one organization after another going through a similar process during an executive transition. 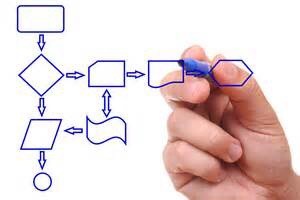 The primary difference between organizations and decision makers is their exit point from this process. Some never get around to making a decision or decide to avoid the use of an interim. In order of their occurrence, here are the stages of an interim engagement that I have experienced. We do not need an interim – When faced with a transition situation, organizations employ a variety of strategies. Some use internal resources, some leave the position open and others resort to consultants. In a future blog, I will address the difference between an interim executive and a consultant. Organizations will frequently initially resist the fees associated with engaging an interim executive. They will search for any possible alternative to engaging the interim. They will spend weeks or months struggling with the interim decision. I have seen the passage of over six months between the time first contact was made with a decision maker regarding an interim position and the time the engagement actually started. Acceptance of an interim – All too often, once the decision is made to employ an interim, the client wants the interim TOMORROW!. Generally, the client communicates their desire to accelerate the interim engagement as a means of managing the cost of the interim engagement. Sometimes, too much time passes between the time the decision maker meets an acceptable interim and the time they make a decision. Then they are frustrated when they call to find that the interim they wanted is now engaged. I once had a potential client get upset with me for ‘putting pressure’ on them to hire me. All I had done was to tell them that I was being proposed by the firm I represented on multiple jobs and if they wanted me, they needed to make a decision. In this case, one of the reasons they wanted me was perceived cultural fit. They wanted someone that would fit into a rural eastern North Carolina culture and I had been a hospital CFO in that area. Two weeks later, I received a desperate call. They wanted to know how fast I could get to their site to address what had become a big problem. I told them that I was literally on my way to Milwaukee. I had been engaged a few days earlier by one of the other clients that had seen me. The potential client that had let me ‘get away’ was not happy. Ultimately, the firm lost the gig because they did not have any other resources that this client liked and I got to spend the winter in Milwaukee instead of eastern NC. If you are a decision maker, MAKE A DECISION. Recognition of the value proposition – I start my engagements with an assessment. The purpose of the assessment is to determine the degree to which the function I am filling is or is not meeting the needs of the organization. During the assessment, it is common to find a number of significant opportunities for improvement. My experience has been that when a client sees the difference between the interim and what they had before or when they see the magnitude of opportunity revealed by the assessment, the value proposition ‘clicks.’ There is no easy way that I have found to tell a prospective client before an engagement that my experience might be valuable to their organization . It comes across as self serving. Once they understand the potential of working with a professional interim that is capable of being transformational in their organization, they want to get as much as possible out of the the engagement as fast as they can because they understand that the potential value is multiples of the cost. This frequently reduces the client’s focus on getting the engagement over as fast as possible. Employment overtures – Somewhere along the line, usually in the six to nine month period of an engagement, the client decides that the interim is highly desirable and recruitment overtures start. Sometimes, they come to doubt that a recruitment would result in an equal or better permanent solution. According to my dissertation research, 25% – 40% of the time, the overtures result in employment even if it was not the initial intent of either party. Tatum called this a ‘conversion.’ The respondents to my dissertation research survey stated that they had converted their interim 35.9% of the time. If the interim is sophisticated, they will generally resist converting as they see consulting preferable to employment. The challenge to this part of the process is to get through it without the client becoming concerned that they or their organization are not good enough for the interim. Diminishing returns – If the interim does not convert, they ultimately begin to experience difficulty in achieving transformational gain in the organization. Initially, they were a novelty full of energy and fresh ideas. They are generally very impressive compared to their predecessors. They are humored by the bureaucracy in the organization and their harvest of low hanging fruit is impressive. Sooner or later, the resistance of the organization to engage in increasingly difficult change and increasing resistance on the part of the bureaucracy reduces the ability of the interim to produce transformational change. One day the leadership is evaluating their situation and they conclude that the consultants are not earning their keep and the transition(s) start. I will discuss the topic of culture and change in organizations in a future blog entry. Recruitment – During this stage of the process, the interim participates in the recruitment by performing a number of key tasks. They spearhead the development of a revised job description, they develop a specification for the recruiter, they participate in the interviewing and vetting and ultimately in the selection of the permanent candidate. I have cast the deciding vote on my replacement more than once. Transition – The transition occurs when the interim is replaced by a full time employee which can be the interim. If it is not to be the interim, the interim generally assists the organization with the recruitment and on-boarding process. When the on-boarding process is complete, the interim moves on to their next challenge usually leaving their client organization in much better shape and thankful for their service. I have personally experienced this progression of an interim engagement time after time. I have also seen every one of my engagements run longer than initially discussed. Before a client appreciates the value proposition, they are very highly motivated to get the engagement over as fast as possible. I have been told time and again to not expect more than ninety days, 120 days at the most. My average engagement is nine months and I am currently twenty months into an engagement was initially mutually understood to be limited to an assessment only. The other interesting phenomena that I have seen is that the process can be exited at any stage given circumstances unforeseen initially. This is one reason that I go the extra mile by making it very easy for my clients to exit an engagement should it become necessary. One of the factors that lead to engagements dragging on is that the client becomes comfortable with the interim and they allow distractions to degrade their focus on moving the organization beyond the interim engagement. The next thing they know, the engagement is approaching its first anniversary. If you are a decision maker considering an interim, my hope is that this material will enable you to better manage the engagement and get the most from it for you and your organization. If you are considering interim services, and if you are any good, you should expect that your engagements will nearly always run longer than initially discussed with the clients. Therefore, as an interim, you need to be careful making forward commitments that assume the engagement will be over by a time certain. This is original work. I have not seen content of this nature in my extensive dissertation research. This material is copywrited by me with reproduction prohibited without prior permission. I always note and provide links to supporting documentation for non-original material. Next How fast can you teach finance?